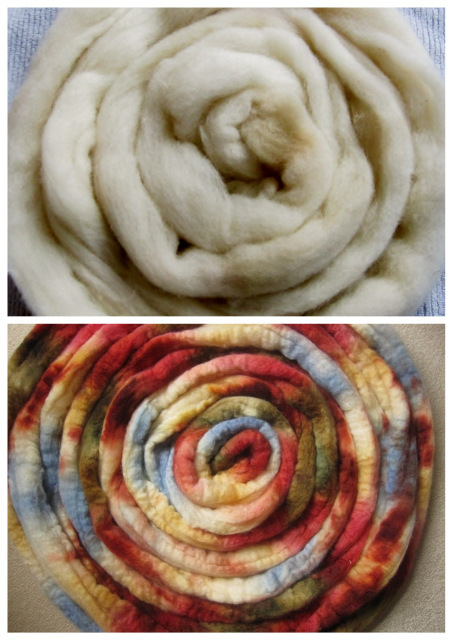 I haven't been doing a huge amount of spinning recently, and I've been missing it hugely. Last weekend, I took some Pollinator Falkland and my IST Turkish spindle along to a workshop I was teaching, and managed to spindle a few yards over the course of the day. That was enough to break up the log jam, and earlier this week I started spinning the first fiber for my Two Color Shawl V1.0, some Clotted Cream on Shetland. It's a really lovely spin - not too much going on colorwise, so I don't have to worry about color management, but enough to keep me stopping to look at the subtle tones that are coming out in the yarn. I'm using my Hansen miniSpinner to try and reduce any wear and tear on my legs - in case you've missed my Tweets about it, I'm running the London Marathon on 13 April, and am very wary of using my legs any more then is absolutely necessary! To be fair, I'm pretty sure that treadling a spinning wheel is about as low-impact as you can get, but I'm using the running as an excuse to curl up on the couch with my feet tucked under me and spin away mindlessly. Once this bundle is done, I've got some toned-down YFP Shetland to spin up next, and then I'll have to finally commit to a color combination for the second shawl I plan to do. There's a few pictures over on the SAL Ravelry thread, but if you're coming across this a bit late and want to join in the fun, we'd love to have you! There are more details on the SAL-KAL page, so don't hesitate. From left to right (and top to bottom): Parakeet and Yellow Fluorescent Protein, Coomassie Blue and Blue Jay, Exponential Monet and Roses, Salamander and Ethidium Bromide, Pollinator and Oregon Green. Clotted Cream and Hawa Mahal, London Fog and Snow Shadows, Berry Compote and Haematoma, Clotted Cream and Botticelli's Girl. Golden Mean and Clotted Cream, The Far Pavillions and London Fog, Golgi and Spice Market, Clotted Cream and Pollinator, Golgi and Flamingo. You could always combine two semi-solid colors for a really striking shawl. I'm thinking fondly of the combo between the acid chartreuse of YFP and the subtlty of Clotted Cream. Or Coomassie Blue and Xylene Cyanole for a gorgeous symphony of blues. Or maybe go seasonal with Holly Walk and Candy Cane together? Or either with Congo Red or Oregon Green? Maybe Turkey Day with Congo Red or Ethidium Bromide? The possibilities are endles. 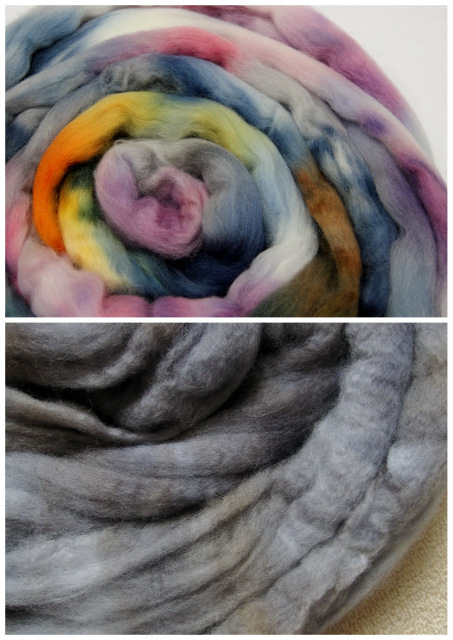 You can place orders for you custom dyed fibers now, so be sure you're ready to start spinning on 1 March!